"I fucked up bro, I need you to wire me $1,000." 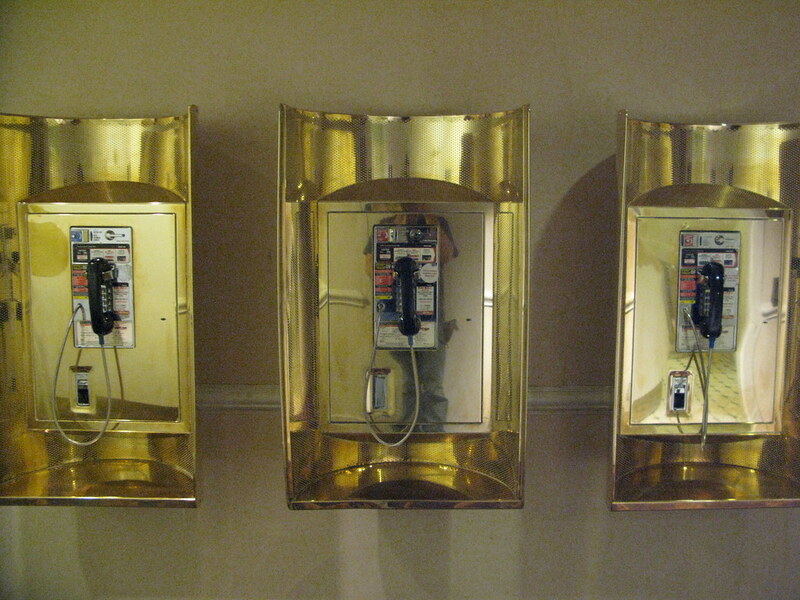 I wonder how many desperate calls were made from these casino payphones. Years ago when payphones were more common, I noticed that at this casino, there was a bank of three phone calls right next to the casino credit cage that accepted incoming phone calls. They were in a fairly high-traffic area, so I wrote down the phone numbers and used to call them at random. Frequently, a drunk casino patron would answer the phone and we would converse about non sequitur topics.